Jennie Lee is a software engineer at Riot Games, a multi-million dollar video game company. 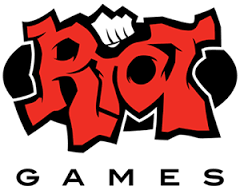 Riot Games created the popular video game, League of Legends. League of Legends is the world's largest multi-player PC Game. At her job, she monitors the software and the server around the world so that the hardware is easy to use. She makes sure the software communicates correctly with each other and everything runs smoothly. Jennie went to University of Cambridge in the United Kingdom (UK). She entered as a math major and soon realized it wasn't her path. She fell in love with computer science and changed majors. She also loved engineering so she combined the majors. She didn't know engineering was a career until applying to college. After college, Google hired her as a product manager and flew her to America. She left her job at Google to be part of a start up in Silicon Valley and then her friend got her a job at Riot Games. She loves working at Riot Games, because it never gets boring at her job. Also she loves her coworkers; they work together to solve problems.